If you walk by any coffee shop and it will likely be full of coffeholics, enjoying not only coffee, espresso and lattes, but also a variety of specialty teas accompanied by an assortment of pastries and sandwiches. Serving quality coffees, teas and snacks in a trendy setting is generally a hugely successful business model pioneered by Café Coffee Day, Barista Lavazza, Starbucks and the like. If you love coffee and are looking for opening a coffee shop, read on! Most entrepreneurs planning on a coffee shop (or any coffee business) will ask this question—how profitable is a coffee shop? They will have questions about the level of profit they could expect. 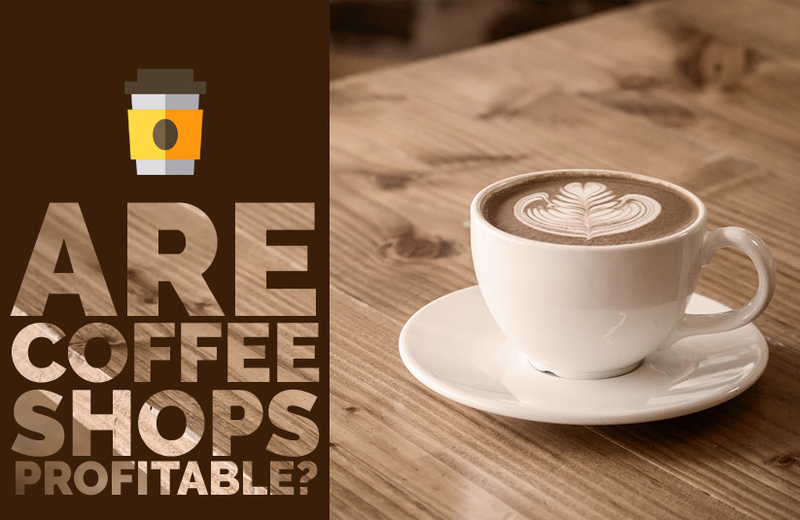 Wondering how much coffee shop owners make should be on top of your question list, especially when you are in the beginning stages of planning and opening a coffee shop. Chalking out a coffee shop business plan should also be on your agenda. If you have the budget, but don’t have the expertise, you could consider buying a franchise. In this case, most of the major business decisions will be made for you. You will be provided with a business that is ready to roll, for a franchise fee. This is another way to acquire a turnkey business. However, keep in mind that finding a profitable existing business for sale is a gargantuan task. You would need to put in your effort and sweat. But often, this option is the most rewarding in terms of maximizing profits and also offers the most flexibility. Whatever your option be, make sure to write a comprehensive coffee shop business plan. There is no one secret formula to owning a coffee shop which is profitable. It is a matter of fact that the most profitable businesses can be attributed to either smart work, experience, or luck or a perfect combination of the three. So, what are the other secrets to a successful coffee shops? This one is a no brainer. If you serve the best coffee for miles around, you will have customers flocking to you. When it comes to coffee, quality is of the utmost importance. So, buy the choicest of coffee beans, a great quality espresso machine, a good water purifier, grinder, and make sure that every cup is made by a fully trained barista. It is common knowledge that coffee pairs well with a great coffee bread, muffin, cookie or sandwiches. Keep in mind that a coffee shop will never be profitable from coffee sales alone. Good coffee may be the prime motivator for customers seeking out your shop, but you should have multiple layer of sales if you want to be successful. So, make sure the traditional coffee accompaniments are close by the billing register or the point of sale. but limit the variety! In continuation to the above point, it is important to note that a wide array of choices in the menu only leads to confusion. Instead, offer basic assortments with limited and strategic offers. Every item you add to your menu only leads to more management efforts and eventually raises the cost for the company without adding anything to the customer experience or ROI. Coffee shop owners must understand that they are selling more than coffee; they are selling an experience. Lots of people come to coffee shops not only to drink coffee, but to spend quality time with their loved ones, or to wind down after a stressful day, or even to conduct business. Understanding the needs of your customer will help you to better construct your offer and marketing tactics. Conduct a market research. You can hire the top market research firms in India to conduct a thorough market research or do your own. It helps you identify opportunities and know where you stand. It also helps you stay abreast of market advancements and keeps to in tune with current trends. The right information could make a big difference to how fast your business grows. Don’t forget the marketing! Proper marketing is the lifeline of any business today. A business can only thrive if it is recognized in the market by potential customers and this can only happen with proper marketing and advertising. Ourbusinessladder is one of the top management consulting firms and a leading market research firm in India. We are the one stop solution for existing businesses and enterprising entrepreneurs.